Some fun things have been going on lately. I was asked by one of my favorite fabric companies, Lecien Corporation, to design some quilts using their new lines. These quilts will be shown in their booth at International Quilt Market in Minneapolis May 15-17. The first quilt uses their latest line of Retro Child Smile. I picked a little dog from one of the fabrics to embroider. 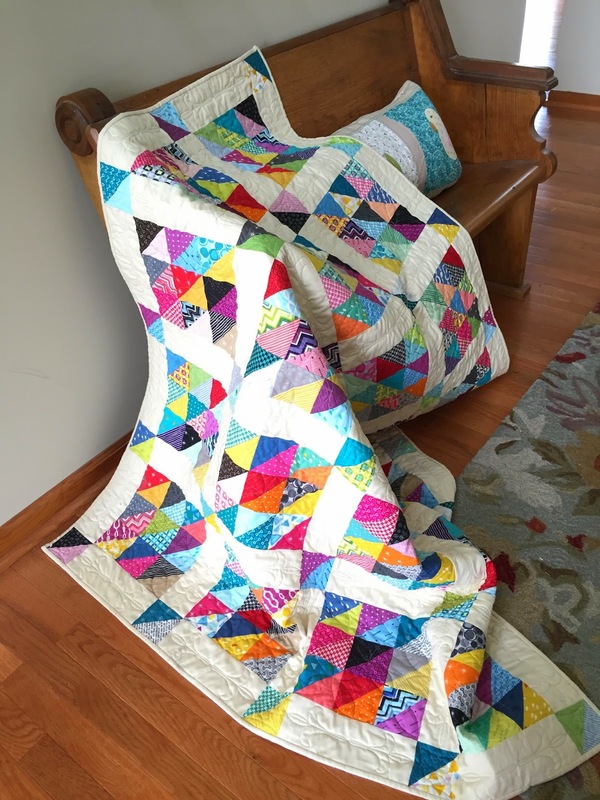 This second quilt uses their L's Modern and L's Modern Mini line and one of their solids for background. I love the riot of color! I have always loved Japanese fabrics. 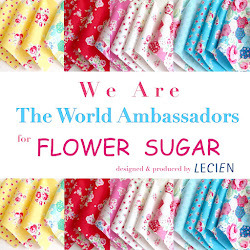 One of my very favorite Lecien lines is Flower Sugar. It was a fun experience and I hope to do more in the future. That first quilt with the dogs is so sweet! Will there be a pattern released for it? Such beauty, you certainly are a very talented woman. 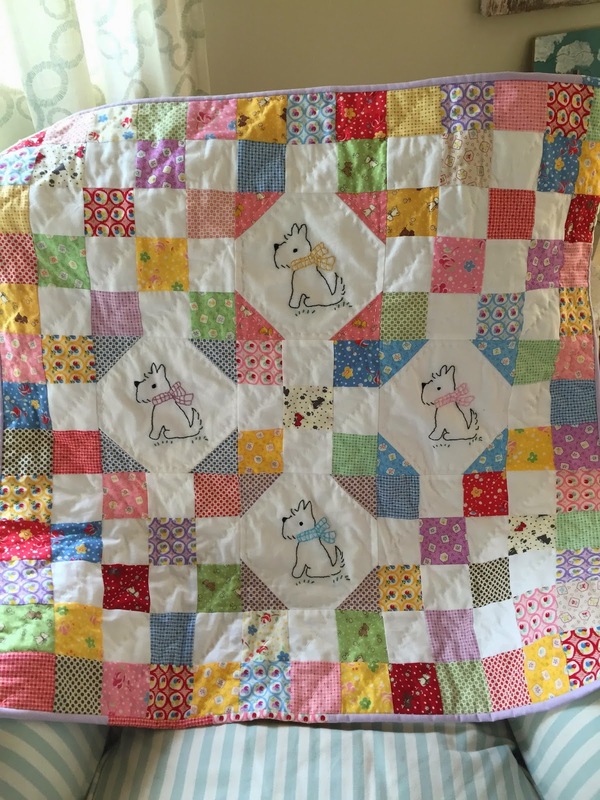 Love the beautiful bright colours in the quilts - and the first one with the dogs is the cutest ever! Just love the quilt with the embroidered dogs in it. What a great idea. Beautiful fabric in both quilts! I just love the dogs! Your quilts turned out great! Love the top one with the Scotties! Beautiful fabrics and design. Well done! Good luck at Market! What fun. Your quilts are sew pretty. I am SEW loving the one with the sweet dogs on it. Hope you have a wonderful weekend my dear. Congratulations! It must be so exciting to know your work will be shown like that, and the quilts are so beautiful! Great projects. I love the little embroidered dog. Renee, how awesome to be able to sew for them! Flower Sugar is my favorite, too. I LOVE the Scottie quilt! Awesome job!